I am going to stick with Debbie Dee's books since I liked Tiy. Right after I finished Tiy I went and read all of the books that she wrote. 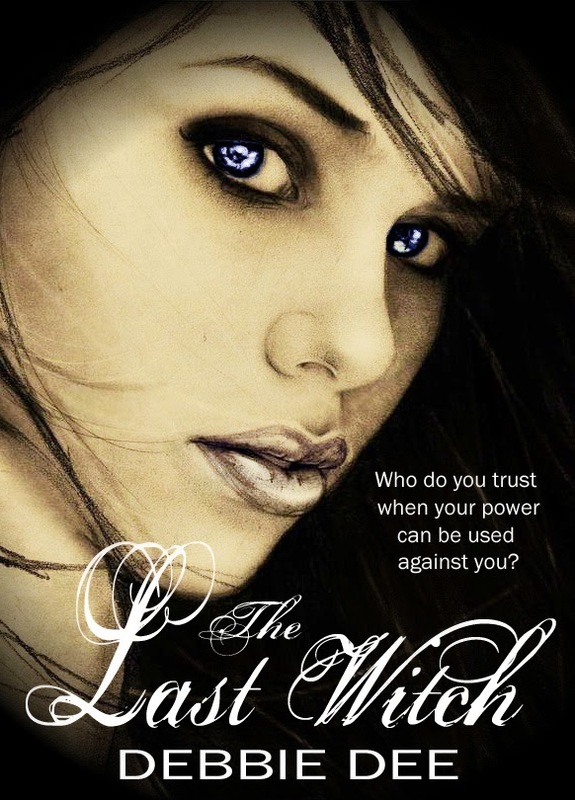 The Last Witch is the first book she ever wrote. She has a trilogy (Incenaga Trilogy) that she has started. She has released book one and two and is currently working on book three. I loved these books as well. However, I will say I am a little more partial to Tiy (read my review here), but the Incenaga books kept me on my toes and I could not sleep until I finished them. To start, this book is a young adult book, it is 249 pages and has 34 chapters. There is quite a bit of dialogue and the paragraphs are not too long. It is a quick and easy read...mainly because you cannot put the book down. This book had me enthralled from the first chapter to the last and my favorite part is that it was not over when I finished the book. I knew there was a second book and that made me so happy. (Side note: I never want a good book to end. The characters are in my thoughts throughout the day and I almost live in the story.) I thought Debbie built up the characters well and did not leave out any details. The cover of the book shows a woman with very distinct and powerful eyes. On the cover it also asks the question, "Who do you trust when your power can be used against you?" This is the main question though out the whole book. Personally I think that is what keeps you on the edge of your seat. Although I was able to predict some things in this book that did not lose my attention. I was still into every detail and wanted to see if my predictions were correct. Luckily, I was right...that is all I will say. Emmeline is a very innocent and sweet woman. She has some very great qualities. She is very loyal, strong, loving, and powerful. Erick is another character in the book and he is just as great of a character. He is honorable, strong, and a hero throughout the book. However, Mahron is the definition of a terrible man. He actually gave me chills a couple times while reading the book. He is that man that wants all the power and control for himself. Emmeline grows up not knowing she is an Incenaga witch, not just any Incenaga, but the last one. She finds this out when she is sixteen. She finds out bits and pieces of her true identity as the book unfolds and you get to find out right along with her. Once she finds out how powerful she really is and that her power can be used against her will, she starts to question her trust in others. Her distrust in others builds and she does not know who or where to turn to many times. My heart broke for her at times as she struggles with this. Although I wanted to trust Erick through most of the book I was wondering right along with Emmeline if he could honestly be trusted. She is imprisoned and is abused, but she never gives up and her determination is contagious. The ending is the best part of the book. It usually is for me anyways, but I love that the story really was not over when the book was over. I immediately started reading book two because I could not get enough of the story. I think this is a must read. Really it is quick so pick it up and read it quickly and tell me what you think about it!